Recorded on September 15, 1957. John Coltrane performs by courtesy of Prestige Records, Kenny Drew performs by courtesy of Riverside Records. The track duration does not appear on the release. This pressing has no ® on the label, or Inc. in the back cover. - 47 West 63rd St., New York 23 address on back cover with no Inc. 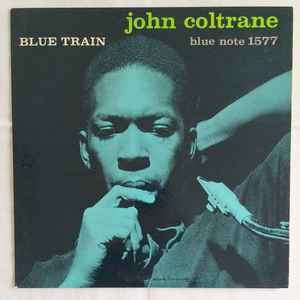 The cover originally had a dull greenish-blue photo and grey "Blue Train" lettering on front, while later versions have a blue photo and white "Blue Train" lettering. I'm looking for an original cover for this lp. Have the LP but no cover.